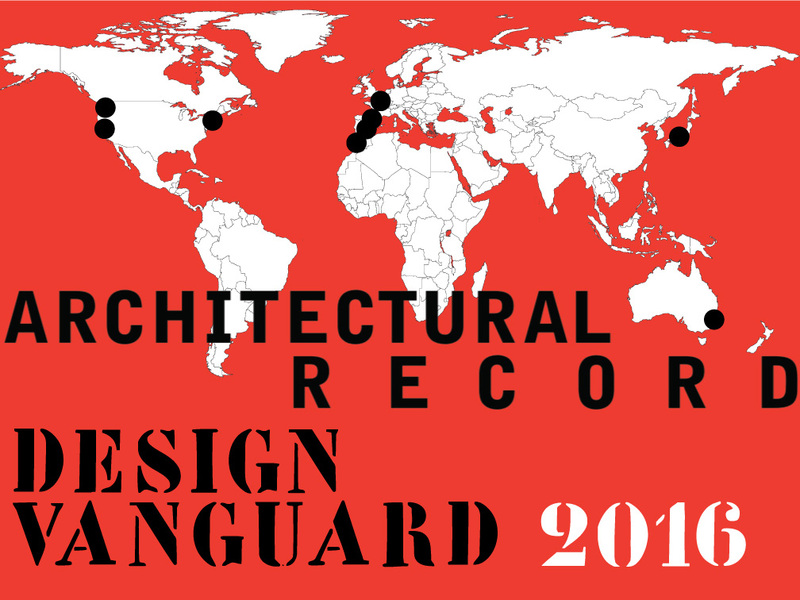 We are pleased to announce that Waechter Architecture has been selected by Architectural Record as a 2016 Design Vanguard. The annual list recognizes ten emerging architectural practices from around the world. 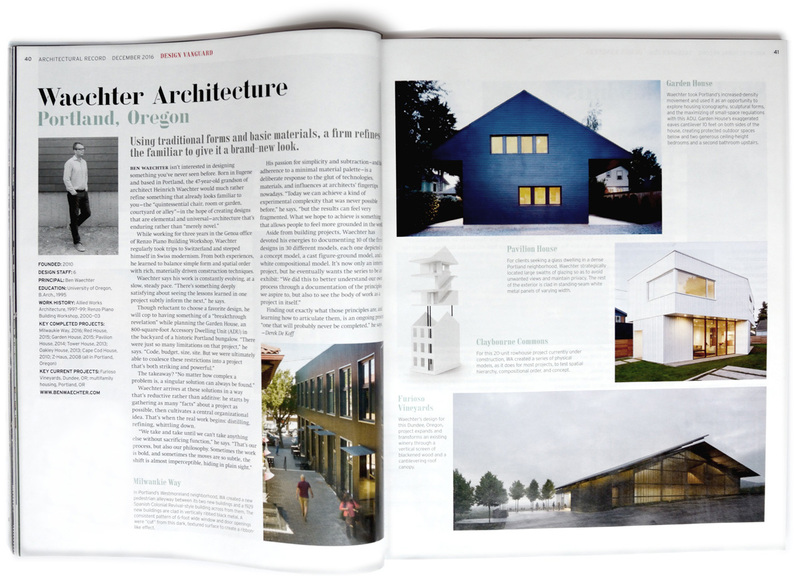 "Architectural Record’s annual Design Vanguard issue brings together the architects who are already doing some of the most innovative architecture work in the field and will lead the profession in the future. They are the firms at the forefront of design." Waechter Architecture was selected for their rigorous commitment to creating authentic, simple, and bold architecture. Their aspiration is to create spaces that amplify our experience and resonate in our memory.